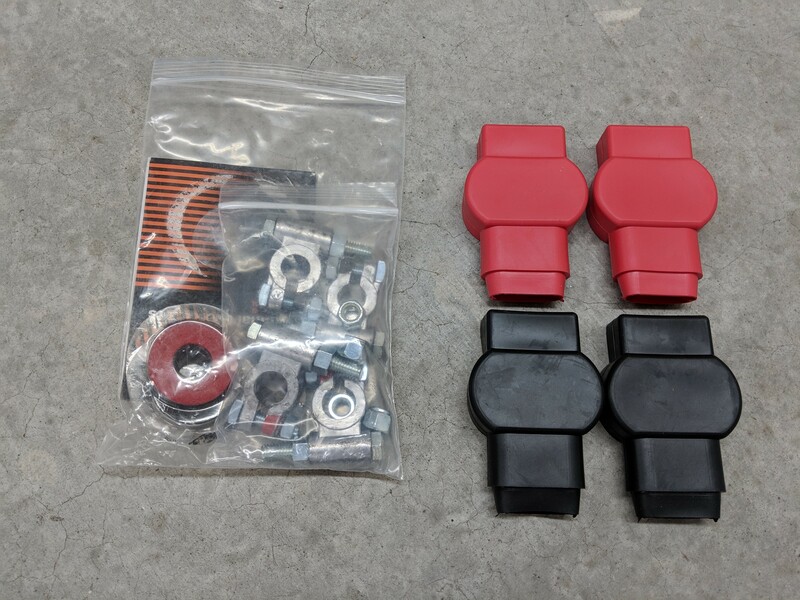 Had an issue recently where one of my factory battery terminal clamps on my 7.3L [Excursion] was to the point where it wouldn't properly remain tightened on one of my batteries. Since the cables are original, I decided rather than cut the cable and install new clamps, I'd find a complete replacement cable set and install that instead. After some searching, I came across a number of recommendations for a company out of Apache Junction AZ called Custom Battery Cables. While they don't specifically list full size vans, I asked the owner and he mentioned that he has done some cable sets for diesel E350's. If he can make sets for diesel vans, a set for a gasser should be easy. I haven't installed them yet, but I'm very impressed with the quality. They even tag each cable (and on some, a tag on each end of the cable) with the cable attachment location. Stock negative cables are 1/0 with #10 gauge chassis grounds. 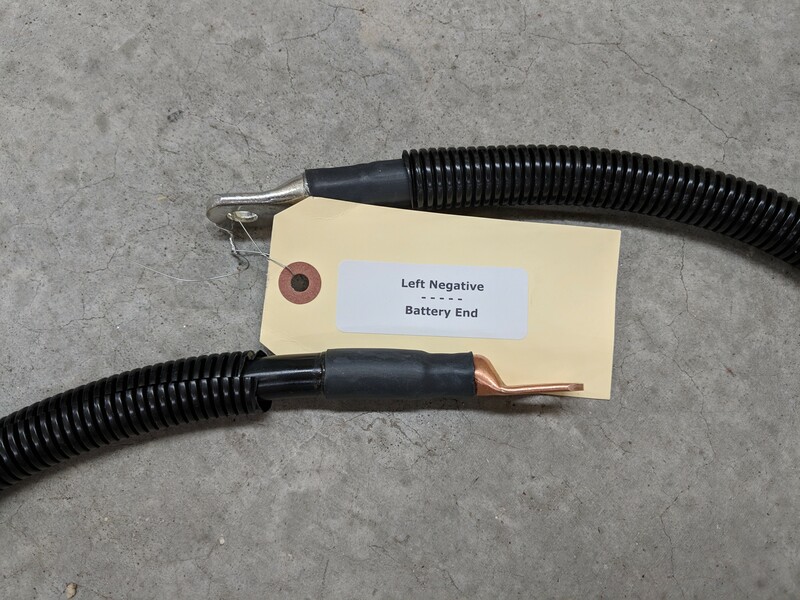 Our negative cables are a heavier 2/0 with #6 gauge chassis grounds. The stock positive cable uses 1/0 for the crossover, 2/0 for the starter and #6 for the fuse block. We use 2/0 for the crossover, 2/0 (optional 3/0) for the starter and #4 for the fuse block. The heavier gauge wire reduces resistance and might make starting a little easier. We build our cables using copper lugs crimped to SAE battery cable using a 12-ton hydraulic crimper. Then we seal the connection with adhesive lined heat shrink. Battery washers are included. 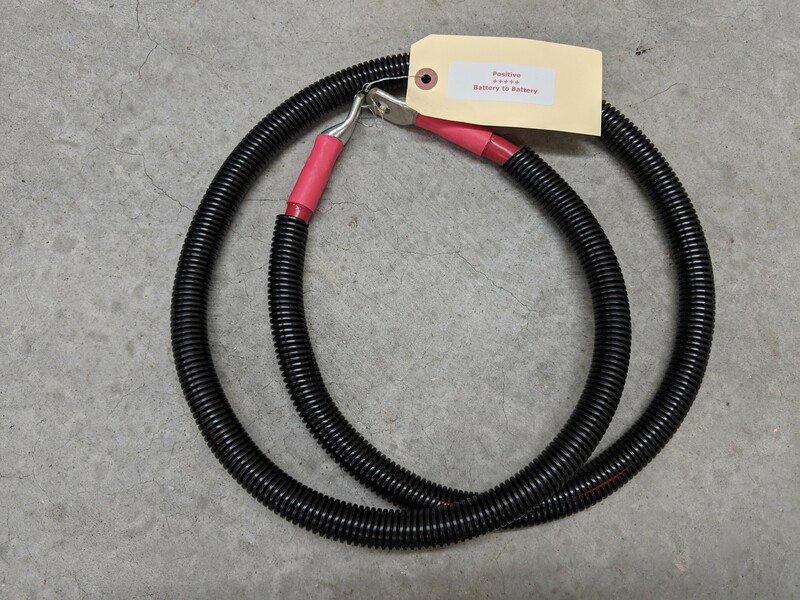 We make the fuse block and chassis ground wires a little longer than stock since the #4 or #6 wire is not as flexible as the tiny wire the factory uses. Military Ordinance/Universal Terminals: These terminals allow the customer to add as many electrical accessories as they want. They also have the advantage of being able to replace just the terminals and not the entire cable. We provide a Nylox nut to help you make sure that the bolts remain tight. Thanks BroncoHauler, Always appreciate Posts in which quality products are shared. Timing is everything...unfortunately dropped my Van off yesterday to have both starter batteries along with all the cables replaced...would have ordered these had I know prior. Literally a day late. Sorry, I just didn't want to post anything until I had the cables in-hand to make sure the quality was what I was expecting and that the owner confirmed that he makes cable sets for vans.